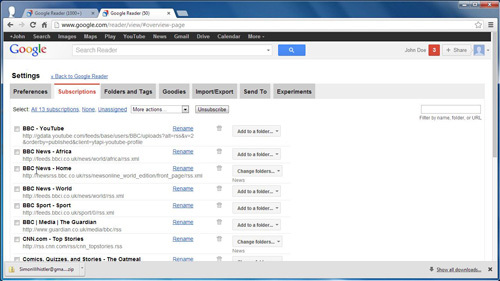 In this tutorial you are going to learn how to import google reader feeds which can be useful if you are changing you Google account. The first step is to create a feed that you can import into your new account. Visit “www.google.com/reader” and make sure you are logged into your account. In the top right of the screen look for the icon that looks like a gear, click on this and in the menu that appears, click on “Reader settings”. 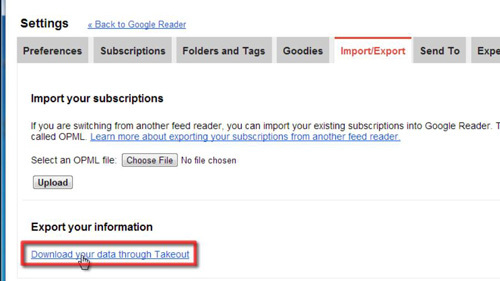 In the tabs at the top of the new page, click “Import/Export” and click the link that reads “Download you data through Takeout”. 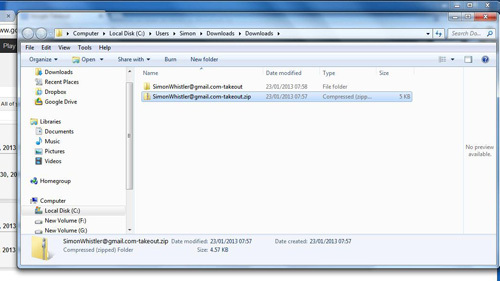 Google Takeout will load and you may have to log into you account again, do this. In the new page click the “Create archive” button at the bottom and Google will process while it creates the file, once done, click “Download”. Again, you might have to log into your account. The file will then download. Open the folder and unzip the file. You will be redirected to the subscriptions page and you will see all of the subscriptions that you had in the previous account. 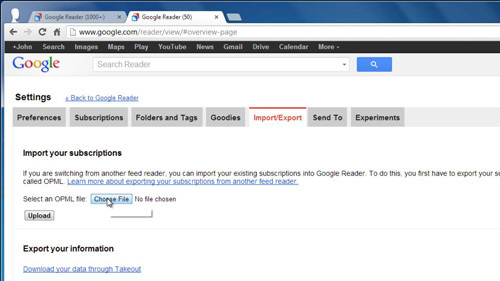 That is how to import google reader feeds and you can return to the Reader homepage to access all your feed information.